Hey everyone, sorry theres been nothing new on here for a while. Since the last post we've been busy mainly creating cover art work and logos, aswell as a special pair of custom sneakers, all of which will be posted on here in due course. We've also designed a new logo for sister company and Hip Hop music imprint C75 Live. Check out the new logo below, visit the site www.c75live.com, and watch out for more updates for what we've been up to soon. 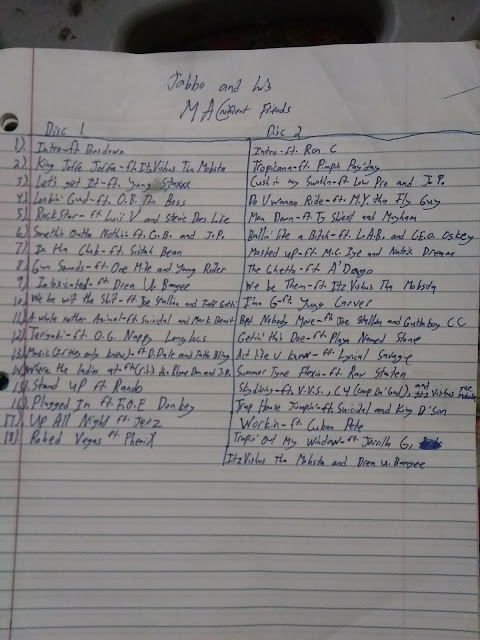 TEST Squad / CTC member, Jabbo Tha Macnificent revealed the tracklist for what turns out to be a double album called Jabbo & his MACnificent Friends. C75 Live/TEST Squad members Cuban Pete and OneMike are on there of course with a ton of other guests on this feature filled compilation. 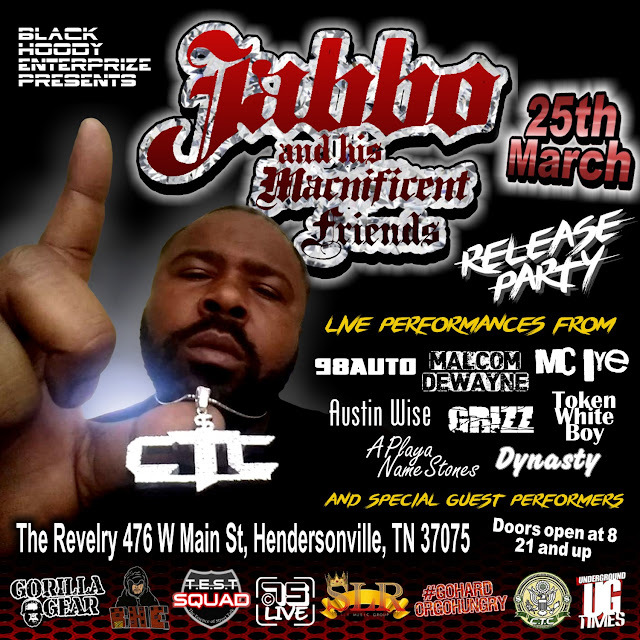 If you're in the Tennessee area get down to The Revelry on the 25th March for the album release party. With plenty of live performers as well as some special guests its sure to be a great night. OneMike on the NewStart TalkShow. Mike speaks on how he is often misunderstood, how he got the hook up on thisis50, and what annoys him about the current rap game. The NewStart TalkShow is a relatively new show that really gets its interviewees to open up and be honest while dropping jewels for aspiring artists on the come up. Interviewer King D Son says "I was tired of my old lifestyle and felt like I needed a NewStart That's when i decided to create the TalkShow, giving people the opportunity to tell their story because maybe they also thought about changing their lives. Welcome to NewStart TalkShow. Where we turn our past into Success." Darius Southerland, better known as King D Son, is an independent song writer and records his own music. His music is based on life and issues that he would face before and after the 2004 death of his older brother. Darius's motivation for music was from the feedback that he received from producing music for listeners from the trenches of everyday life and reality. He also managed and decided to successfully write and produce an independent motion film about the struggles throughout his life for the people that can actually relate or have experienced similar lifestyle.